Who’s Going to Fix America? 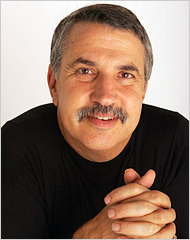 Thomas L. Friedman gets on his soapbox about the need for a better-functioning democracy in the U.S.
Link: Op-Ed Columnist – Anxious in America – Op-Ed – NYTimes.com. to get started. Vote for the candidate who you think will do that best.